"A review by this newspaper found at least 20 contrived Twitter accounts, seemingly created to launch a co-ordinated disinformation campaign and to attack media coverage of the Sens while lauding the team and its owner Eugene Melnyk." There’s been a lot of discussion about fake Twitter accounts meant to amplify particular points of view in the political arena, but what about in the sports arena? Something similar seems to have happened there, at least with the Ottawa Senators. That NHL franchise wound up in some controversy last week after an Uber driver published video of players trashing their coaches while in his vehicle, and the subsequent reporting on and republication of that video by the Ottawa Citizen and The Ottawa Sun led to reporter Ken Warren being kicked off the team charter. Following the publication of the initial Uber-video story, a review by this newspaper found at least 20 contrived Twitter accounts, seemingly created to launch a co-ordinated disinformation campaign and to attack media coverage of the Sens while lauding the team and its owner Eugene Melnyk. At least seven of those accounts went offline — either deleted or having blocked their tweets from public view — after questions about their authenticity were raised. The remaining accounts also stopped tweeting. …Of the accounts identified by this newspaper, none of them had tweeted prior to Nov. 6. The accounts all had only a few followers and all had sent only a few tweets each, almost exclusively regarding the Senators and coverage of the team. “Lorenbg’s” tweet would be repeated, in different forms, by four other accounts. It’s not just that tweet; as the piece notes, even seemingly-innocuous tweets like “great night for a walk” wound up on a whole bunch of these accounts at similar times, while six accounts falsely suggested Postmedia paid for the video, and 15 of the 20 accounts specifically praised Senators’ owner Eugene Melnyk (definitely a weird sign, as it would be awfully tough to find that many Ottawa fans who specifically support Melynk these days). Oh, and that investigation also illustrates how these accounts’ profile photos were pulled from sites ranging from Etsy to other social media platforms (as seen in the Postmedia photo above, showing one photo used for accounts across social media with different names). So yeah, that’s a pretty good sign these are fake. Of course, this is far from the first time fake accounts have shown up in sports. The closest analogue to this situation might be what happened with then-Philadelphia 76ers general manager Bryan Colangelo last summer, where he admitted to running one secret account after a Ringer investigation. A subsequent team-commissioned investigation saw Colangelo’s wife admit to running a group of other accounts that promoted his decisions and sometimes aired sensitive medical information, and Colangelo resigned after that, But there have been other entries of fake accounts into sports, too, from fake ESPN columnist “Sarah Phillips” to the guy who catfished Manti Te’o to accounts impersonating players and insiders. Something like this is stranger than many of those cases, though, and it seems to indicate that someone paid for the creation of fake accounts to air pro-management viewpoints. Did it work? Not exactly. None of this conversation managed to really make the Senators look better, and they perhaps look even worse now that this has come out. 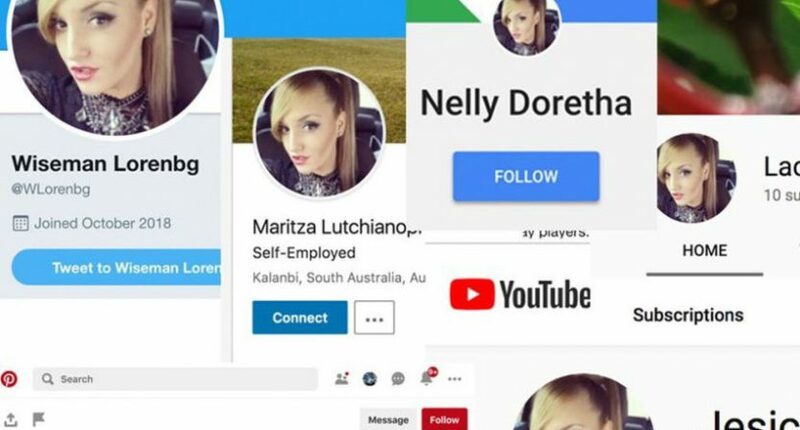 But some of that is about the ham-handed execution of it; these fake accounts were possible for the photo to prove as fake thanks to shared language, photos found elsewhere and more. A more sophisticated job that didn’t duplicate the language in individual tweets or have easy-to-disprove photos might have gone unnoticed, and it might have actually convinced some that there was more pro-Melnyk and pro-management sentiment out there than actually existed. And that’s more impetus for media outlets to be careful when looking at Twitter, and especially when passing on opinions found on that platform. Twitter can absolutely be a great source for finding out what people think of particular moves or of particular broadcasts, but some are also using it under false pretenses to try to manipulate the overall discussion. That’s definitely something to watch out for.